Yoga has the power to transform us, to revive our expansiveness, grace, grounding and capacity for awe embodied. Yelapa has this same power. ​Enjoy the combination of a beautiful sacred space to practice yoga, immersion in tropical beauty and being part of village life. The combination of yoga, meditation, Ayurveda, pranayama, chanting, dharma talks, walking, hiking, ocean, river, tropical nature and being part of this Mexican village life affirms Yoga’s ultimate theme of Oneness. 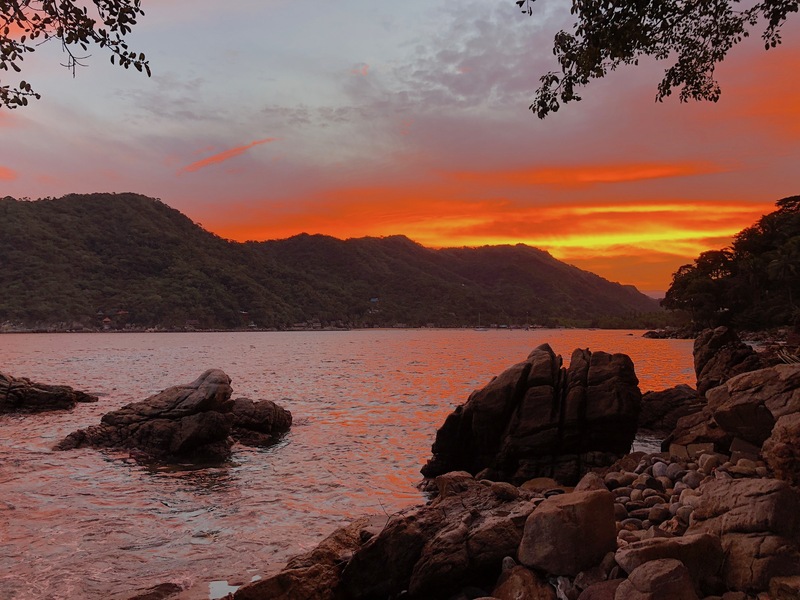 ​​Yelapa, reached only by boat, takes people back in time enhancing the feeling of “getting away from it all” and invites participants to remember the simple life. 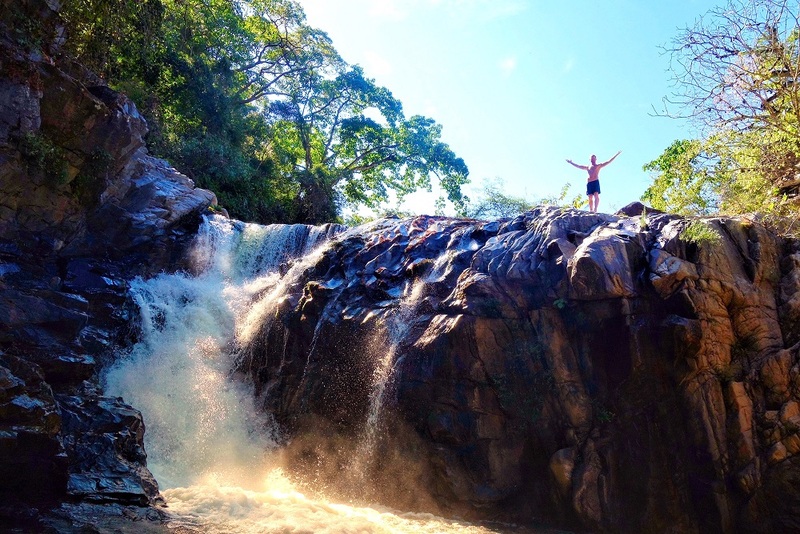 ​​Pura Vida Eco Retreat offers a sacred space deeply connected to nature for yogis to enjoy. Enjoy beautiful views of both the ocean and the jungle from the venue each day. 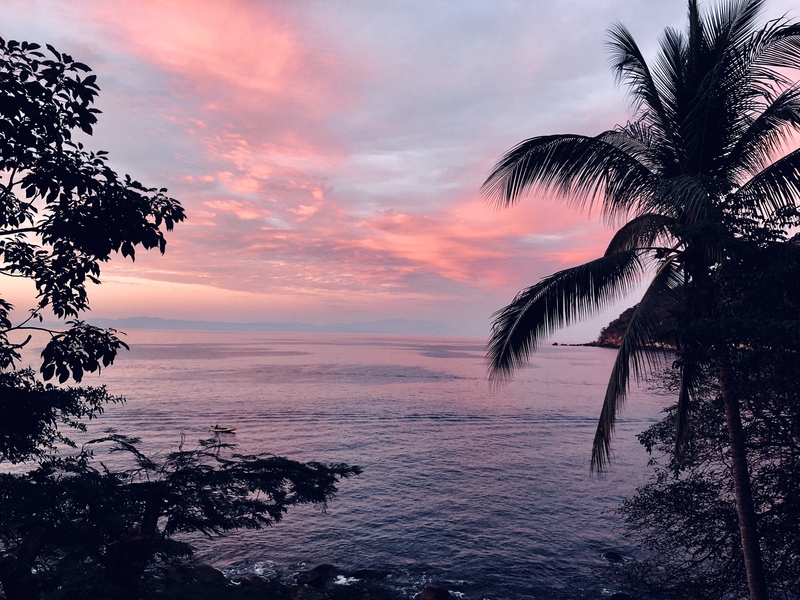 Our jungle setting holds both expansive views with the wonderful sounds of the constant lap of the ocean and the sights and songs of tropical birds enjoying the trees surrounding the studio. 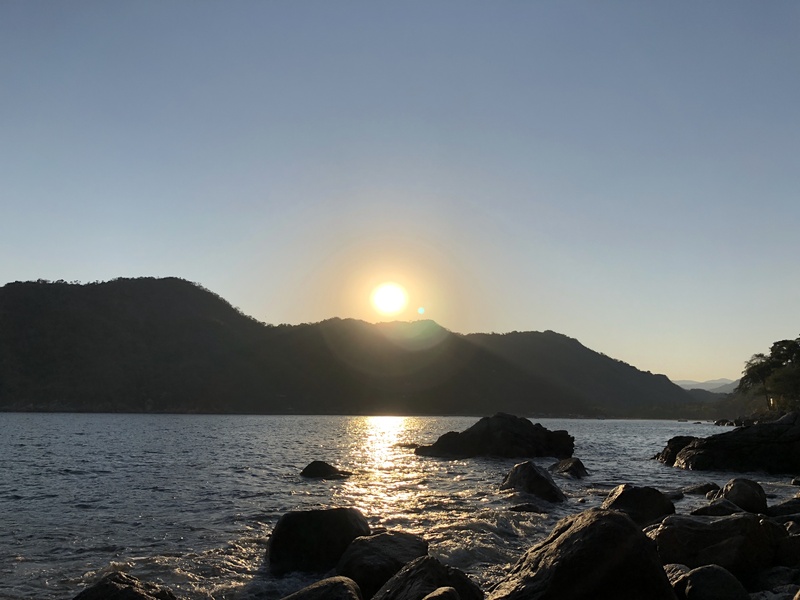 Ayurveda, pranayama, chanting, dharma talks, walking, hiking, ocean, river, tropical nature and being part of this Mexican village life affirms Yoga’s ultimate theme of Oneness. Private round-trip boat transportation from Puerto Vallarta to Yelapa. All transfer of luggage from airport to boat taxis and return to PV. Daily guided practice and teachings pranayama, chanting, meditation, yoga asana, yoga philosophy, Ayurveda, and Dharma study sessions. Registration Fee/Deposit $300 per person Non-refundable- (covers $50 administrative + processing fees + system that secures all registrations, and $250 deposit to secure lodging). Included in registration total at checkout. Boat travel apart from the group: Participants using other boats will have to pay for their own travel. Cancellation/Refund Policies: $300 of your first payment for each guest is non-refundable, as yogajoy has a contract with each retreat center where we host retreats. If you need to cancel, your remaining balance is 70% refundable with cancellation before January 23; 30% refundable with cancellation before February 23; and non refundable after February 23. Please submit cancellation requests to [email protected]. We are traveling to a small village in Mexico, remotely arrived at by small boat taxi. Every aspect of the retreat center was created by the founder of Pura Vida. Each tile, each pillow, all of the supplies to build the center from nothing were transported to the village via such small taxis. Enormous commitment and labor have gone into the design of an extraordinary retreat center for our renewal and study. As such, we have refund and cancellation policies in place to respect the center, which is offering us exclusive use of their facility during our retreat. Sarahjoy has been leading yoga and meditation retreats for more than 22 years. Her commitment to yogic study and to creating the rhythms of ashram-style learning and studying has deepened every year. Particularly as contemporary life has increased in tempo, stress, anxiety, and health challenges, Sarahjoy's abiding vision for us to realize the yoga in all things - and to be able to sustain such a felt sense amidst what daily life brings - has expanded to include more teachings from the yogic texts, chanting practices, and Ayurveda. She is also adept at integrating the most relevant teachings from brain science and interpersonal neurobiology. Visit us at Sarahjoyyoga.com for yogajoy info on teaching training, retreats, workshops and private yoga therapy sessions. Visit our non-profit yoga studio the DAYA foundation for public classes, workshops, trainings and special series!